WHAT A DOOZY!!! Jason Lawhead is on the show again and he’s KILLING IT!!! We had such a blast on this episode talking: Jason’s smelly hotel room, the “Varsity Blues” Scandal, and the problem with being in pictures. Thanks again to Jason Lawhead for being on the show (click to follow him on social) and be sure to check out his podcast – Lawhead’s Court!! Also, don’t forget! our next LIVE SHOW!!! March 29th at 9p at the PT’s on Durango and Flamingo (it’s linked here if you need the directions), so come on out to the FREE SHOWWWWWWWW! Bring folks! DRINK! LAUGH!! SHARE THIS PODCAST! Tell a friend you enjoyed it and give us a rating and review here! 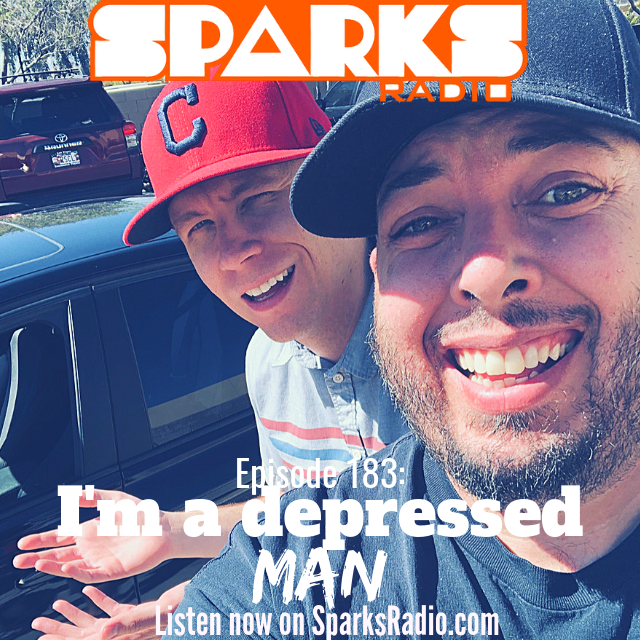 Thanks for checking out #180 of the Sparks Radio Podcast!